Interests: Harry Potter, cosplay, genderbending, make up, costume design, anime, sci-fi, gaming, Disney and fangirling over everything. Tell us about yourself: I�ve always enjoyed expressing myself creatively. 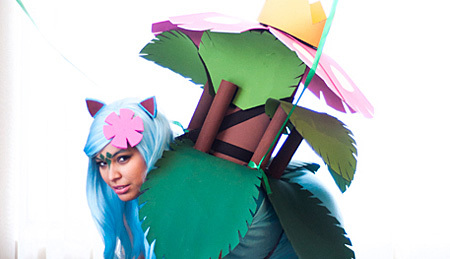 Cosplay is something that I�ve been passionate about for the last year. I love learning new things and working hands on, so being able to make my own costumes and props and learning new techniques is amazing. I am also very bubbly and optimistic with a big smile always present. Have you always been a geek? : I would say I realized I was a geek in late elementary school when all I would do was read Harry Potter and watch InuYasha. Then I discovered my love for more fandoms, and it just grew from there. Geekiest thing about you? : I would say the geekiest thing about me is my obsession with Harry Potter. I have a lot of memorabilia such as two wands, authentic house robes, and Bellatrix�s Dagger just to name a small few. I can quote the Philosopher�s Stone movie word for word, and got the Deathly Hallows tattooed above my ankle last year.